In October 2016, Clowns Without Borders Brazil did performed a show for the children of the Favela Morro do Piolho. 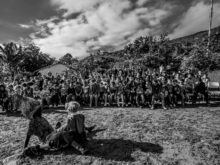 In October 2016, Clowns Without Borders Brazil performed for children who are under the tutelage of the government for suffering domestic violence and slave labor. 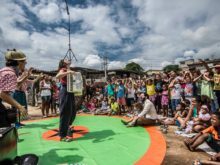 In October 2016, Clowns Without Borders Brazil performed a show for the children of the town of Esperança. 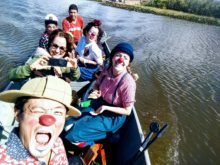 In August 2016, Clowns Without Borders Brazil peformed a show for children at Prof. Hideki Koyama nursery.